Janice Horton - author of romantic adventure novels: The planes kept getting smaller! The planes kept getting smaller! 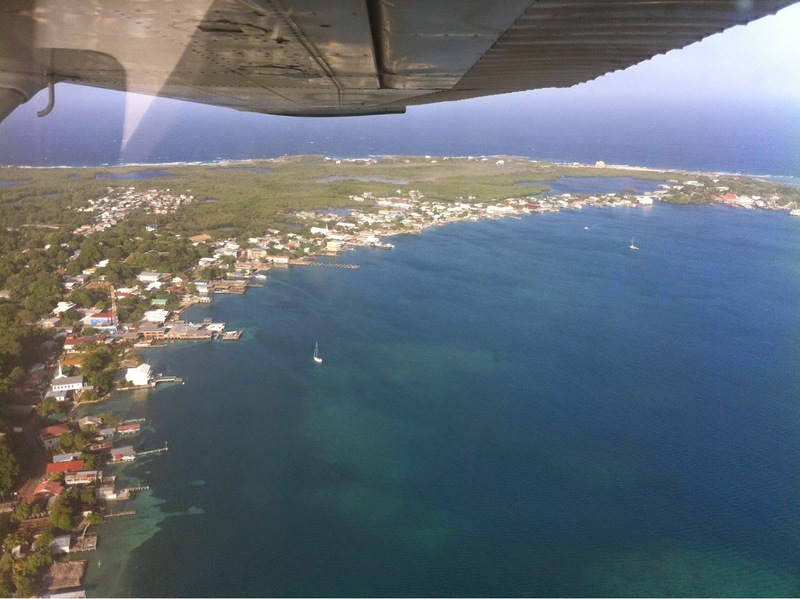 We flew to the island of Utila, the smaller of the Bay Islands just off the coast of Honduras, from London via Miami and via San Pedro Sula in Honduras with American Airlines. We started off on a huge long range triple seven aircraft and then we connected to a slightly smaller one to San Pedro Sula. From there we flew along the coastline in a twelve-seater airplane to a place called La Ceiba - and on this flight I sat right at the front and found I had no choice but to put my feet in the cockpit between the two pilots! We landed in La Ceiba and had to wait for half an hour for our connecting flight for the final leg of our long journey. We saw a couple of planes land and take off again - going to the Cayman Islands and other exotic sounding places - then a tiny little Cessna airplane approached. We thought it looked rather old and battered. In fact, Trav quipped that he ‘pitied the poor buggers who had to get in that plane’. As it turned out, we were those poor buggers. I’ve been in a small plane once before, a sea plane flying over the Maldives, but never anything like this - as it didn’t even have seat belts. However, you can see by our smiling faces as we were boarding that we were feeling rather excited by the adventure of it all. 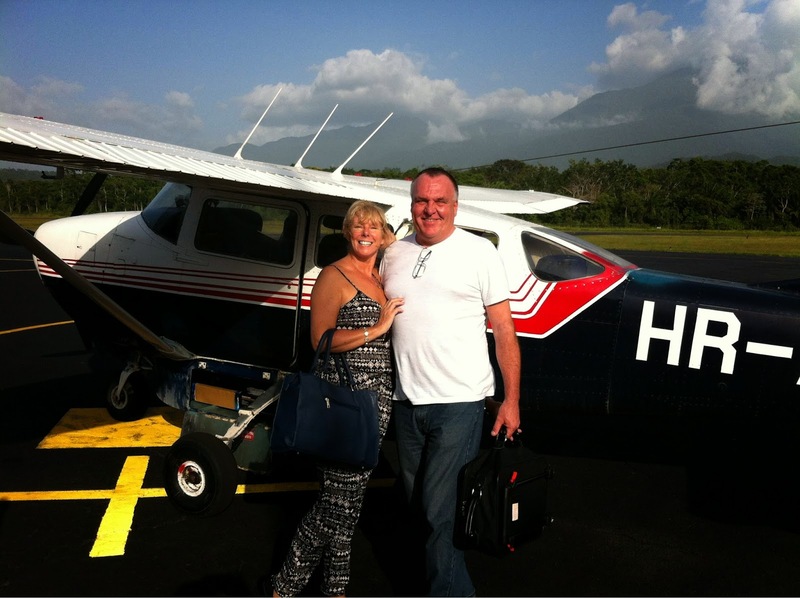 We landed at the airstrip on Utila safely, having experienced an exhilarating flight and having seen the outstanding beauty of the island by air. It was all simply breathtaking! My next post is coming soon and I have a lot to tell you about what happened once we arrived on the island!